The Nike Air Foamposite One “Grey Suede” is the latest premium-edition Nike Air Foamposite One that is set to release early July 2015. 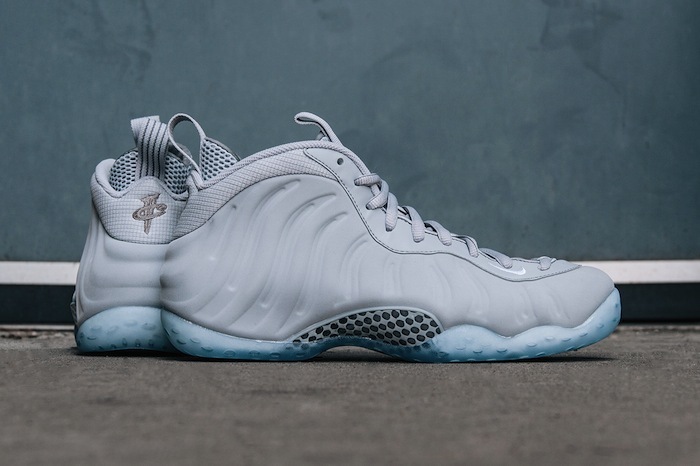 This brand new Nike Air Foamposite One comes dressed in a mixture of Wolf Grey, White, and Black color scheme. The shoe features a Grey-based premium suede upper with White detailing, minor hints of Black throughout and is finished with an icy translucent outsole. Check out the official and detailed on-feet photos of the Nike Air Foamposite One “Grey Suede” below and look for them to release on Saturday, July 11th, 2015 at select Nike Sportswear retailers. The retail price tag is set at $250 USD.